Looking for some LTE news that's harder than those wishy-washy vibes you've been getting thus far? Listen up. 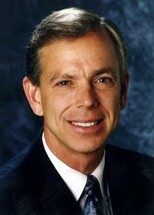 On a recent conference call, Verizon Wireless President and CEO Lowell McAdam (shown) stated that its LTE network would launch commercially in around 20 to 30 US markets during "the second half of 2010." He continued by noting that a "nationwide buildout would be complete in late 2013 to early 2014," but failed to elaborate on the whens, whos and whys in between. For those locked into the 4G movement, you'll notice that these dates are slightly different than ones tossed out in April by the outfit's CFO, which leads us to believe that we could hear something else in just a few month's time if things don't go perfectly to plan. At any rate, McAdam did confirm that a tiny group of VZW testers would have access to 4G this year, with one "pre-commercial" network per US coast being activated during 2009. Bring on the bytes, baby. Verizon Wireless to light up LTE in 20 to 30 markets in 2H 2010 originally appeared on Engadget on Fri, 15 May 2009 10:13:00 EST. Please see our terms for use of feeds. May 15, 2009 by Ben Pike.